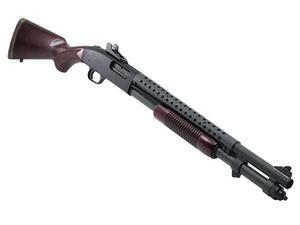 The Mossberg 590A1 has been issued to U.S. Armed Forced after passing the rigors of Mil-Spec qualification. The 590A1 is the duty shotgun of choice for military and law enforcement agencies worldwide. The Retrograde version of the 590A1 features classic walnut furniture.